The use of genetically modified crops (GMC) is highly controversial, emotional, political, and economic, and pits scientific advances in biotechnology against what some believe to be major societal and health risks. The US is the largest producer of GMC. Many of its most respected scientific and health groups have concluded that GMC are “substantially equivalent” to non-GMC (conventional) foods and do not require specific “GM” (genetically modified) labeling. By contrast, some of the twenty-eight European Union member states are not convinced that these foods are safe and have resisted their importation and opposed growing GMC to meet the nutritional needs of their own people. GM is based on the 1947 observation of genetic recombination—that is, the natural transfer of DNA between organisms. GMC involves altering the genetic makeup of plants by inserting one or more genes into the plant’s genetic pool to enhance traits deemed desirable. This is most commonly accomplished by using a biolistic device (gene gun) that shoots DNA into the plant under high pressure, or via agrobacteria, which are bacterial plant parasites that naturally transfer genes. The most common of these agrobacteria is Bacillus thuringiensis or Bt toxin, a naturally occurring pesticide that reduces the need for chemicals. In 1982, tobacco was the first GMC to have been conferred resistance to herbicides, and it continues to be the most widely used “model plant” to study plant genetics. The first commercially available GMC in the US (1994) was the Flavr Savr tomato, which had a longer shelf life. The most common GMCs are corn, papaya, and soy. Critics seeking to halt or limit the use of GMC have raised issues about their safety: their ability to cause allergic reactions, to potentially contaminate non-GM crops accidentally (with the creation of “superweeds”), and to disrupt ecodiversity. In addition, critics have voiced concern about perceived undue corporate control over the farmers’ use of their products—90 percent of the world’s GM seed patents are held by Monsanto Company. Countering these arguments is the production of safe crops that are resistant to viral diseases, tolerant to drought and frost, and increase the food supply and nutritional content in resource-poor developing countries. SEE ALSO: Tobacco (1611), Population Growth and Food Supply (1798), Mendelian Inheritance (1866), Biotechnology (1919), Green Revolution (1945), Bacterial Genetics (1946). 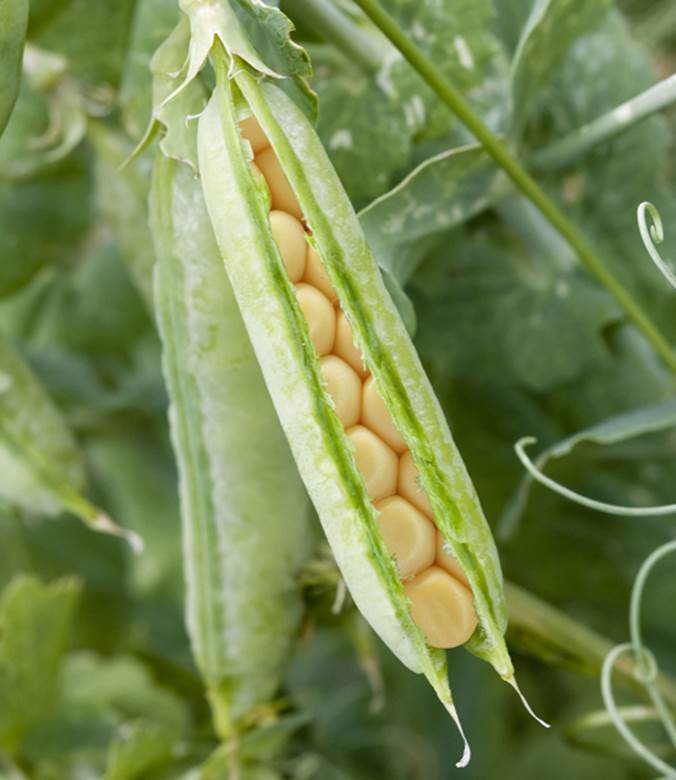 A conceptual image of a genetically modified organism (GMO): corn growing in a pea pod.